Caroline (or Caro!) has been on the Ultimate scene since starting at Deakin University in 2014. 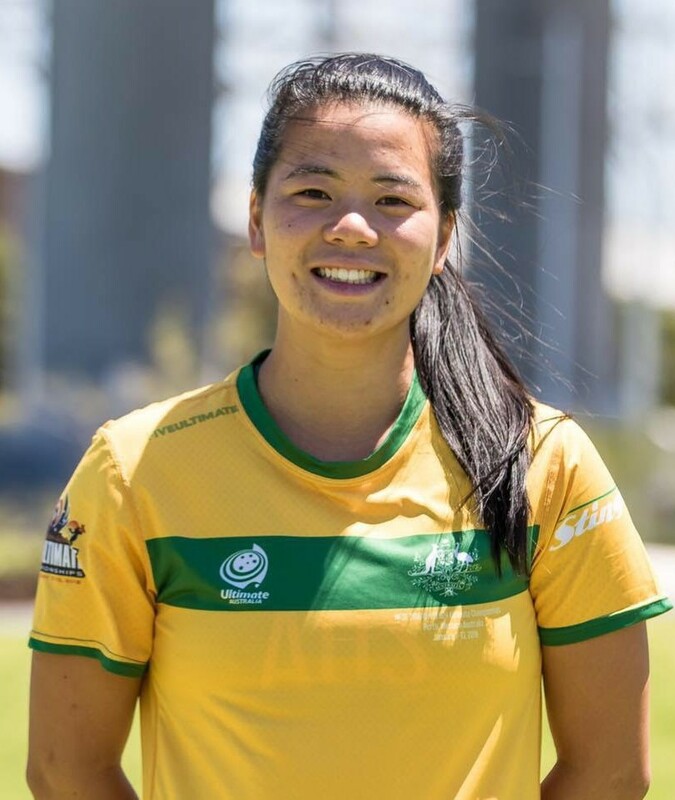 She has been an active member of Deakin Ultimate as an on-field leader, player, mentor and coach, as well as taking on the role of Vice President in 2016. She is extremely passionate about developing and empowering Deakin’s female players. Caro recently spent the summer in Seattle, USA refining her coaching skills and learning from and with some of the best in the business. She’s brought those skills home and has taken on several big coaching roles in Victoria. Most recently, Caro was Head Coach of the Victorian U22 women’s team ‘the Weedy Seadragons’. The team placed 1st in spirit and 3rd in the tournament. Throughout the campaign she focussed on developing the individual skills and confidence of each of her athletes, as well as giving them the opportunity to be exposed to elite coaches and training habits. Caro also puts in a huge amount of time and effort for Ellipsis Ultimate. In 2018, Caro is part of the leadership team, selection committee and coaching staff for Ellipsis Ultimate. Caro has also sat on the Ellipsis board for the past two years, where she holds a youth development position. Caro – your volunteering is incredible and we’re lucky to have you in Victoria.